Fred has a decent life with his wife, who is expecting a second baby, when old friend (actually an old friend’s ex) Chloe resurfaces and they start meeting in the afternoons. Fred lunches with Chloe, then goes shopping with her, then kisses her, then sees her naked, then almost sleeps with her but runs back to his wife for a tearful finale. – We meet the wife and get to know her more than we’ve gotten to know the other “chosen girls”, again raising the stakes. – At the end, Rohmer beautifully shows us (below) Fred’s decision to cut it off with Chloe and return to his wife instead of having Fred explain it to us in voiceover. Felt self-conscious watching this with Katy, who didn’t like it. Overly-talky French films with protagonists who have crappy ideas about women should apparently be watched alone, cuz I felt fine watching the five other talky entries with cad protagonists in this series. As Fred, Bernard Verley is the guy I just saw playing Jesus in The Milky Way (he’s very different here, and not just because he has no beard and is not playing Jesus). Fred has better hair and a better personality than any guy since My Night at Maud’s. Zouzou (Chloe) appeared in a 1977 Edgardo Cozarinsky revolution comedy with Dennis Hopper. Guy who plays Fred’s business partner Gerard was in Stolen Kisses and Bed & Board. Fred’s wife, unfortunately, was in nothing else of note. 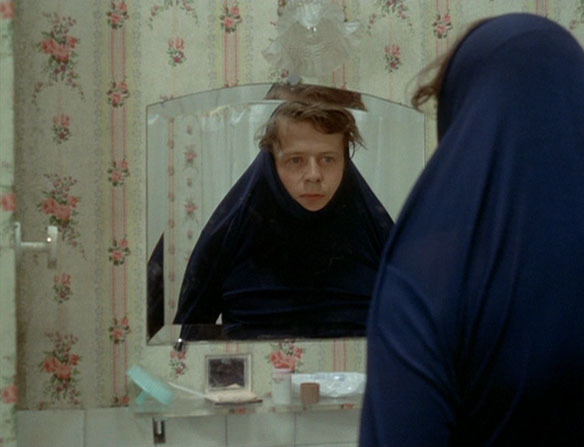 “What Rohmer gets better than anybody else, I think, is the way in which we justify ourselves, the way we talk ourselves into such silly and demeaning but human interactions with people, that we can justify just about anything. He’s one of the great justifiers. He loves to watch these men squirm their way along through life.” – Neil LaBute, director of the Wicker Man remake. 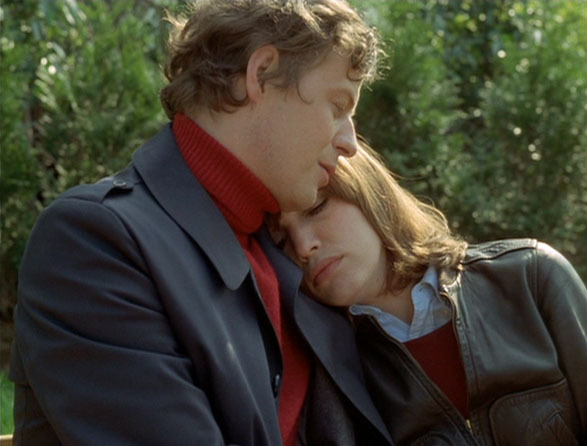 It’s actually a very nice interview, a ten minute appreciation of Rohmer’s cinema. Fred with a dream-sequence girl… is that Haydée? 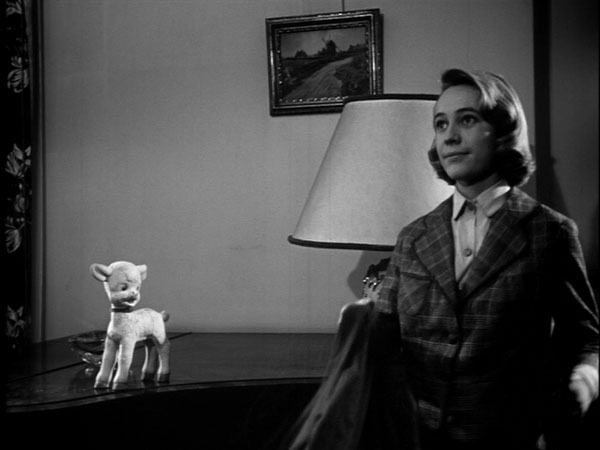 also: Veronique and Her Dunce from 1958, before the Moral Tales. Shot by Charles Bitsch, who did Le Coup du berger and Paris nous appartient for Rivette. Veronique shows up to tutor a kid who isn’t too good at math or composition and likes to ask questions. Then she goes home. That’s really it! Not exactly The 400 Blows here, or even Le Coup du berger, but it’s a likeable little sketch. Veronique would return the next year in Charlotte et Veronique written by Rohmer and directed by Godard – it’s on the A Woman is a Woman DVD. As for this short, I liked the tile floor, and am glad they showed it so often.